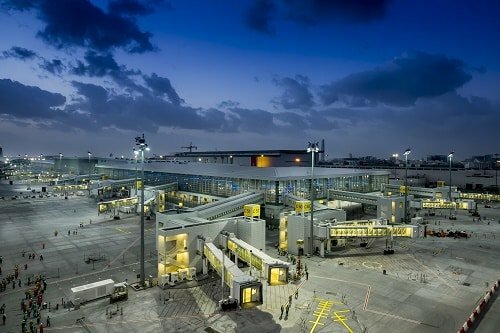 Dubai, United Arab Emirates; 14 December 2016 – The GCC projects market is expected to record at best $120bn worth of contract awards in 2016, down at least a third on 2015 levels and well below what was initially forecast, as low oil prices severely impact government expenditure, according to a new report. 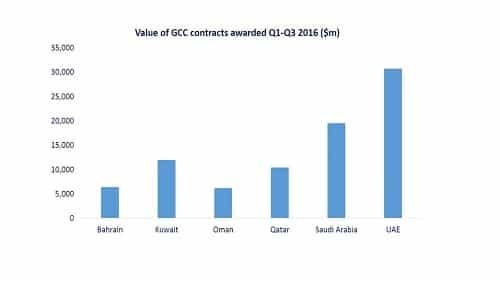 With the year nearly done, the six GCC states have recorded just $96bn worth of awarded contracts compared with $177bn worth of deals let in 2015, according to ‘The 2017 GCC Projects Forecast and Review’ research report, published by MEED Insight. The sharp slowdown, which is set to make 2016 the worst year for project activity since 2004, has come as governments have reacted to lower revenues by severely reducing project expenditure. Qatar and Saudi Arabia have been worse hit, posting less than half the contract awards they awarded last year as project activity levels in the two countries have slowed to a crawl. In fact, it is only in Dubai and Bahrain, the two markets with the lowest oil reserves, where activity levels have been maintained or even increased. Both markets have enjoyed record years buoyed by new projects and robust income streams that have enabled them to continue project spending despite regional economic conditions. The report, which draws on key macroeconomic data, and the latest updates from 8,000 live projects on the region’s leading projects tracking service, MEED Projects, also highlights that those looking for a pick-up in activity in 2017 may well be disappointed. MEED Insight’s GCC Projects Forecast 2017 report is aimed at providing clarity to firms preparing for the year ahead. Whether it is guidance on setting their budgets or strategies, or information on the value of projects to be awarded, the report provides the necessary data to enable companies to be better informed and prepared during these challenging times.